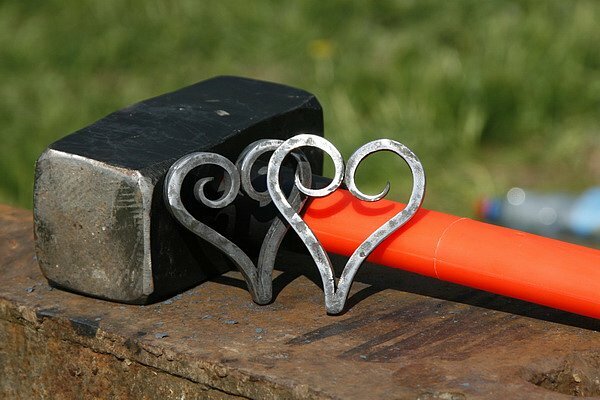 This fall for guests renting our apartments, a rare opportunity to visit the unique event of Blacksmith art-plein air "SMITHY of HAPPINESS". White nights are gone, summer is over and autumn has arrived, which painted the trees in parks, gardens, squares and streets of St. Petersburg in the bright colors of the Indian summer. Escaping in the winter sun pleases us with another warm Sunny days, despite the morning and evening coolness. And in this "Golden" time when the gifts of autumn, in the form of a large number of ripened fruit and vegetables gladdens us with its diversity and festival of "the Forge of happiness", which will allow the typical city dweller to feel yourself in the era, when there was no developed industrial manufacturing, and everything was, as they say exclusive. The festival is held for the fourth time and will gather a great number of masters of artistic forging, pottery, applied art and folk crafts. Everyone will be able to pass master classes on artistic metalwork, pottery, basket weaving, art sculpting, felting, weaving baskets, knitting belts, etc. Any will be able to forge a nominal nail for the legendary ship "Poltava" and for "Sea of happiness" to forge a "Golden" fish under the guidance of a skilled instructor. this year the festival will be held in unity with the festival "Indian summer", which will be in the form of a forum "Women's wisdom". In this forum plans to conduct workshops, which will be particularly interesting for the female audience. the exhibition-sale will be to acquire objects of applied art so to speak directly from the manufacturer. Autumn has traditionally been in Russia not only harvest time, but by the time of carrying a large amount of weddings. To get acquainted with the ritual forging of the wedding, and with a strong desire to take part in it will allow the corresponding statement. visitors will be able not only to make coin souvenir samovar, but also to drink tea with a previously painted with gingerbread already from a samovar present. For hungry guests after a hard work of a blacksmith you can eat porridge made with legendary axe. in Addition to the various master classes at the festivals cultural program, which is scheduled to play "Peter forge, the performance of the anvil with the orchestra, the drummers show. The highlight of the same show-program will be the performance of the deserved actress of Russia Tatyana Bulanova. the Festival will take place September 13, 2015 from 11 to 20 in the seaside Park of Victory located on Krestovsky island near the metro station Krestovsky island. entrance to the festival for all ages absolutely free. We wish our guests a pleasant pastime.